When I was younger, I would save up my extra lunch money and dump it all on poor quality shoes, bags and jewellery; all of these items would find themselves tatterred within a few months (or turn into copper, in the case of the jewellery). As I’ve gotten older, I’ve started to appreciate the value in investment pieces and treating yourself to items that are timeless and actually last. With spring here and a lot of us looking to revamp our wardrobes given the warmer weather, I thought I would share a few of the pieces I think are worth splashing a little bit of extra cash on in order for them to go a further way. At the end of this blog I have a giveaway where you can win $100 towards your own Jord watch – everyone that enters gets $25 off a Jord watch – it’s a win win! 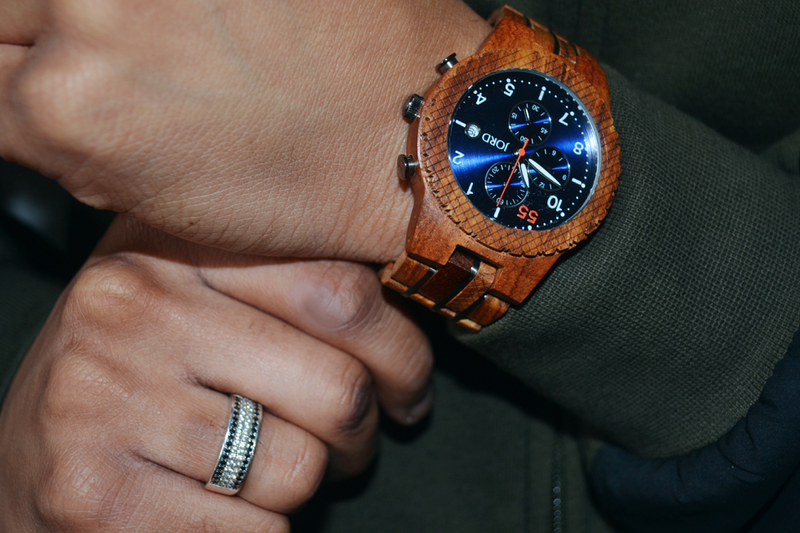 Although this post has a focus on mens’ fashion (because sometimes share the blogger love!) – the points are of course general and can apply to everyone! A few years ago – at least mothly – I’d be popping into high street stores to constantly stock up my jewellery collection. I’d end up buying so much that eventually my jewellery box wouldn’t even close. The issue was, I was buying such low quality pieces that they’d all start to look like copper within two weeks or so, and it definitely got very frustrating. One item that I wear every day now is a ring, I actually stole the idea from my boyfriend (pictured) as ever since we’ve met he’s worn one ring every single day that he splurged a little on – but has lasted years. The ring I wear daily is from Pandora (from a friend) – it’s not hugely expensive of course but also doesn’t come in a pack of 10 for £10 – and it lasts (and I love it)! I’ve been wearing it every day for over a year now and it’s never lost its colour and is just as good quality as it was in when it arrived. I’m not one to go and splurge big bux on every single item of clothing I have – I spend a lot of my time surfing Pretty Little Thing, Missguided and occassionally Zara which I love because they are affordable (but not terrible quality) and more importantly – they’re stylish. However, a few pieces here and there I’ll spend a little extra money on knowing they will last a long time. For example, a timeless coat (I recently just got this lovely piece c/o the rents), or even a scarf that you know you will use for years to come. Pictured above is a recent splurge by my boyfriend on a tracksuit – just because sometimes… treat yo’ self. When I started working and got my first pay cheque, the first thing I I treated myself to was a watch. I’d actually wanted to invest in a timeless watch for years – sinc I first started uni, but it was never really a sensible option given I was paying London rent, and had no income aside from student finance. One day a friend and I went to Regent Street after a day of training for our jobs, and that evening I walked back home with a shiny never silver item on my wrist. 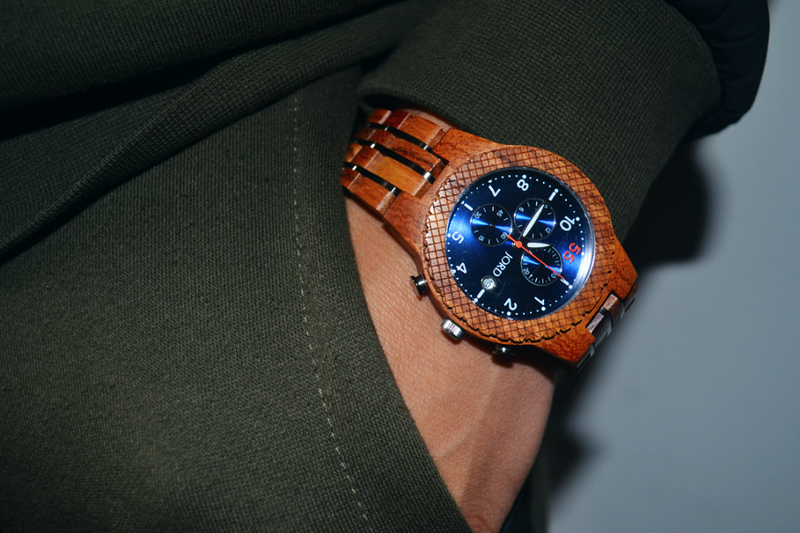 Recently, I’ve discovered Jord wooden watches. 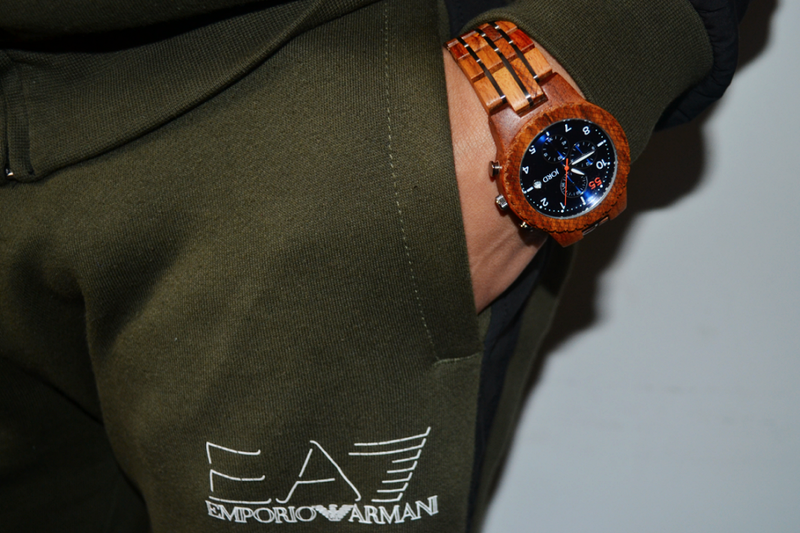 I’ll be honest – when I first heard about the idea of a wooden watch, I thought it sounded pretty strange and completely out of the ordinary. Not knowing what to expect, I was pleasently surprised when I saw what Jord had to offer on their website. In these photos you can see the Kosso & Midnight Blue watch from the Jord Conway Series, sported by the boyfriend, however Jord also offer out a number of different women’s watches and a number of different styles. My boyfriend and I have both pegged this wooden look as a style on the come up that will definitely be very popular in a few more years. 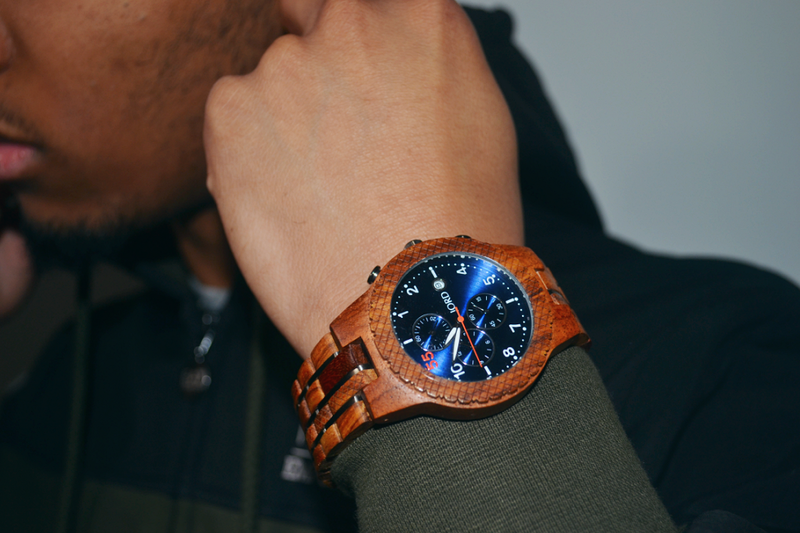 I’ve teamed up with Jord and will be running a giveaway for your own wooden watch. There are no rules – no requirements to tweet, follow, nothing – just head over to the link, and enter your name! Up for grabs is $100 to go towards your own Jord watch (many of their watches are actually in the c. $130-150 region, which means you could end up only having to put a very small amount towards your own Jord watch). 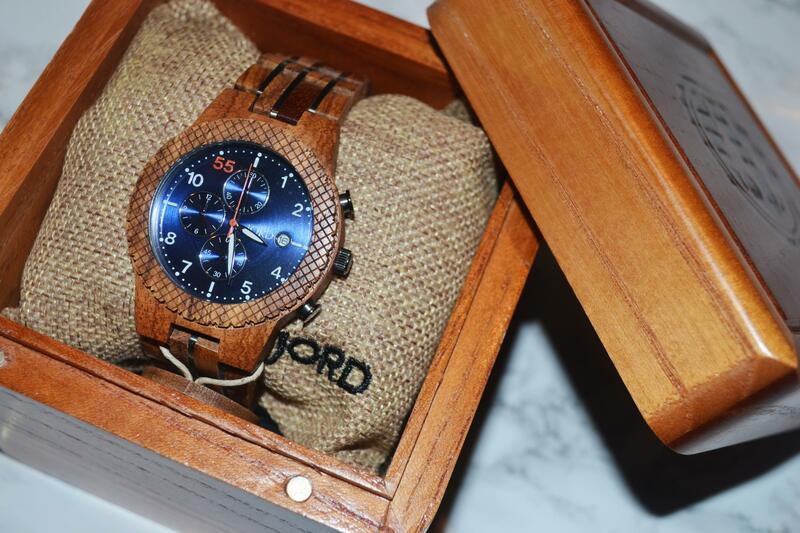 Everyone that enters gets $25 towards their own Jord watch. Basically, there are no losers! This giveaway will close on April 16th at 11.59pm! *This post has been sponsored by Jord – but all opinions are of course my own. 4 Responses to "Investment pieces that will spice up your spring wardrobe (plus: a Jord watch giveaway!)" I love it! Completely agree on the importance of finding those key investment pieces worth your money- they always pan out in the long run. It definitely does pan out over time 🙂 Never used to appreciate this until recently!